You have to do something to turn heads, the second I’m in that changing room and I’m getting ready man, the shades come on, music going, MVP turns up. And then that’s it: turning heads. Michael ‘Venom’ Page is one of Bellator MMA’s most prominent stars. With a record of 11-0, the welterweight’s last victory came via a spectacular flying knee KO of Evangelista Santos—punctuated further by his now infamous post-fight Pokémon celebration. 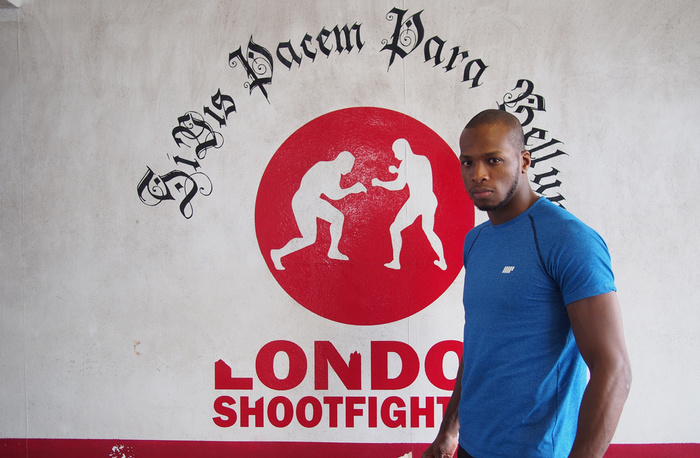 With his next fight not scheduled till November, I arrived at London Shootfighters MMA gym in the capital’s North West just as Michael was finishing an afternoon of technical skill development. He is incredibly affable upon our greeting, carrying a distinct youthful British enthusiasm that is instantly recognisable to anyone that grew up around the working class estates of the UK. In the cage, Page’s much-lauded style is a dual role of snake charmer and pouncing cobra, hypnotising his opponents with array of unorthodox movements before leading the contact with venomous rapidity. The foundation of “MVP” is that of a fighter born, quite literally, from a family dedicated to martial arts. In fact, the very specificities of Page’s own dynamic “hands down” style you see in the cage is a direct consequence of the technical demands needed to compete with the elite of the UK/Europe’s sport karate scene, an environment he has been a part of since his initiation into martials arts from just three years old. My first freestyle competition, I was five. And literally every weekend we’re driving to Manchester, we’re going to Birmingham, we’re flying to Scotland, we’re going to Ireland. We were up and down the country competing. Page’s story starts with Master Stan Brown [his mother’s older cousin] who studied Lau Garr Kung Fu under the art’s founder Master Yau. But more consequently, it was under Master Brown’s tutelage where Curtis Page Sr. was first introduced to Pauline Reece, Page’s mother. And today with seven siblings (all black belts) the Page clan is not one to be trifled with. He also notes with particular pride the coaching influence of his brothers. “Anybody that was on the point-fighting circuit, back then had a traditional route that they came from,” Page explained. “You either had a taekwondo background, karate background, or kung-fu background, and that mishmash [of martial arts] kind of created this hands down kickboxing style. Distance management lies at the very core of Page’s style, the ability for a fighter to find their range to attack. Michael’s entry into the competition scene started from the tender age of five, and at twelve he was already competing for his first world championship in the US. Page uses a knife fighting analogy explained to him by his father, a three-time world kickboxing champion and mentor to MVP’s development, to describe the essence of point fighting. “With our game, if we look at it as a serious thing, imagine you have two knives in your hand and your opponent has two knives in their hand, you can’t go in and trade with him because technically you both lose, or you’re playing a 50% chance game. “He said I have to be able to ‘Get in, hit. Get out, without being hit’. And that’s the whole point of that point scoring. [Michael Page] jumped, spinning 360-roundhouse kicked some dude in the face like he was a in a video game. He is the breakout star of Bellator. – Joe Rogan. No single figure is arguably more prominent for the sustained spread of martial arts to a new generation of young fighters and fight fans than Joe Rogan, both through his work as commentator for the UFC and his podcast: The Joe Rogan Experience. On this side of the Atlantic, I asked Michael whether he has heard Joe wax lyrical about his hands down point fighting style on recent editions of the podcast. “Someone sent me the clip of when they were talking about me,” he said, breaking out into laughter. “I’m in here to bring appreciation to the style, to the art, to the hands down era, which I 100% believe is going to take over the stand-up aspect of MMA. Michael later graciously agreed to demonstrate his patented ‘tornado kick’ for Joe Rogan, the fight-world, and mostly for myself. Though Page was initially hesitant of the efficacy of his own style in MMA, believing it to be “way too brutal”, a friend and training partner eventually persuaded Michael to make the leap. “For me, I’m lucky enough to come to a team [at London Shoot fighters] that instantly appreciated the style, but can instantly see the dangers [for MMA], and you know, pick it apart a little bit, and rebuild it up again as well as giving me the wrestling that I need and the jiu-jitsu that I need. “I think me transferring over successfully is going to allow more freestyle fighters, who probably thought the same as me, to think actually you know what we can do it. So you are going to see more and more flamboyant, fast moving, very accurate, very precise fighters from that kind of style. In fact, Michael explained that he was able to pick up jiu-jitsu the fastest of all the new disciplines because of the mental-chess game akin to his native art. He later revealed that overtures had been newly made with London’s Roger Gracie Academy to further sharpen his ground-game. While Michael’s next fight is likely to be scheduled in the US later this year, his win last July at London’s O2 arena has brought him a greater mainstream public recognition within the UK. 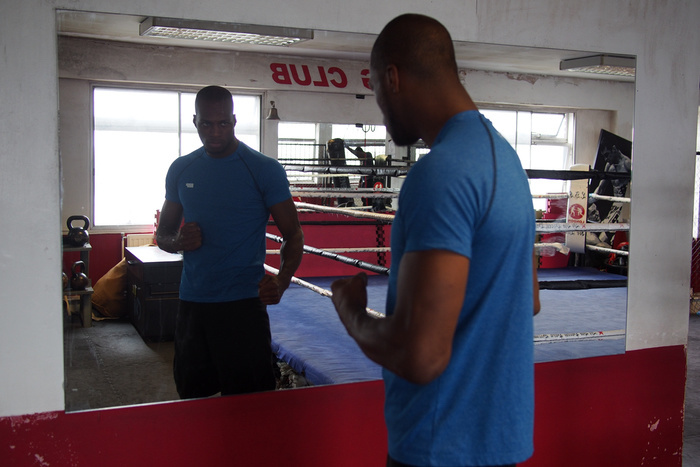 “The way I fight is my character and that comes out in everything I do,” said Michael. “At the moment, it’s more about me building my brand and building Hands Down Management. “For me the likes of Conor McGregor; I can listen to that guy all day because he’s very sharp witted, he’s very sharp with his tongue, very confrontational, and as everybody knows he’s kind of an amazing person to watch. “To try and imitate that, I’ve seen people try and imitate things like that because they’ve seen the success he’s had, and you can tell its fake, it’s not real, you know what I mean? And it doesn’t make you look appealing. “For me, that’s not the route I go down. I find myself to be more entertaining in the cage, and this is where you see the celebrations come out, and the things I say, and repeating myself. I think I took massive inspiration from the likes of the WWE community, and watching them from years ago, the likes of the Rock, and all those kind of guys, who were just amazing with that crowd communication.